Have you ever looked for a book to give newer Christians, or those who are struggling with understanding in Bible reading, help with grasping the Bible? You might want to check out this volume by Drs. William H. Boyd and Boyd Seevers and published by Bethany House. Their stated aim is illuminating the big picture in each of the 66 books of the Bible. 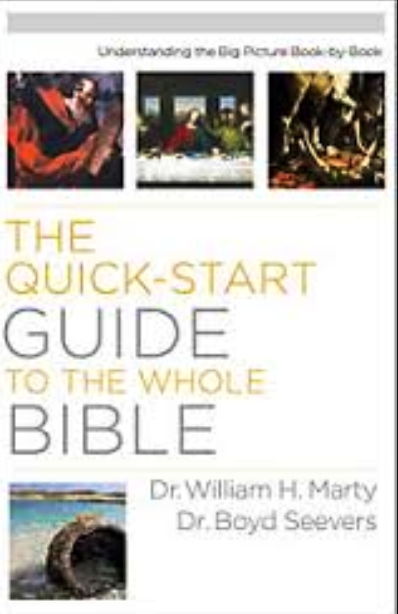 Most of the books of the Bible get 3-6 pages to help you get oriented before you begin reading. Key books, like the Gospels, get a little extra coverage. The volume covers setting, summary, and significance for each book. Setting and summary are helpful while significance by necessity is selective. Space constraints mean they are selective in what they share. Some aspect you feel should be discussed might be missing, but the most critical ones are mentioned usually. I do not feel this is a volume pastors or experienced Bible students will consult as much as some others, but for its real audience–beginners in Bible study–it is quite valuable. As a pastor, I would gladly recommend this book to those who come for help in getting more out of personal Bible reading.